Kirkuk-Iran runs six military camps near the city of Kirkuk in northern Iraq, including around 1,500 officers and commanders from the Quds Force of the Iranian Revolutionary Guard. Tehran is also planning to open new military camps between the cities of Kirkuk and Mosul reaching to the Syrian border, informed sources told Asharq Al-Awsat newspaper. He said that another person known by the name of Ikbali Bour leads with another committee of Iranian commanders, the militias of the Popular Crowd in the field. Bour works under the command of Shahlaei. Yazdan added that the committee also includes religious figure Mohammed Ali Karmi, head of the political doctrine at the Quds Force, and Hassan Mahdavi, head of the military training, Asghar Turabi, the head of the Intelligence, and media sector chief Ali Zanjeer Zarabi. 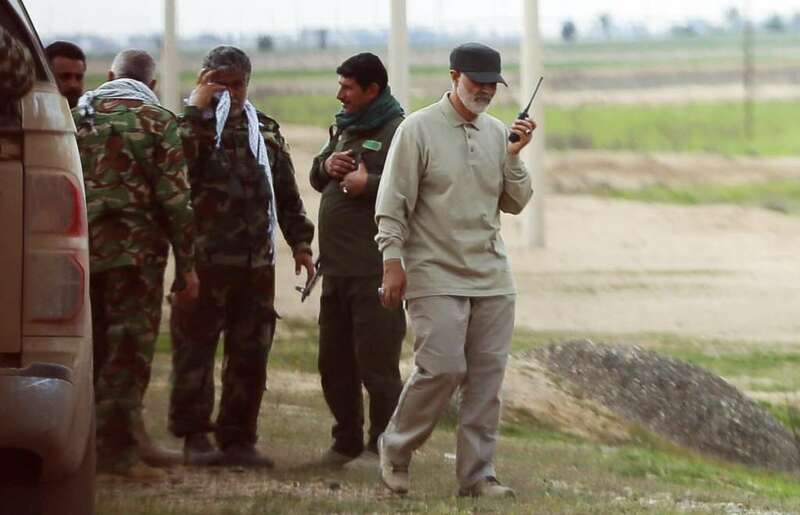 Meanwhile, commanders of the Quds Force who supervise the Shi’ite militia leadership in Iraq are Brigadier Generals Mohammed Shahlaei, Mojtaba Abtahi, Iraj Masjedi and Ahmad Forouzandeh, who are all directly supervised by the Quds Forces Commander Qasem Soleimani.